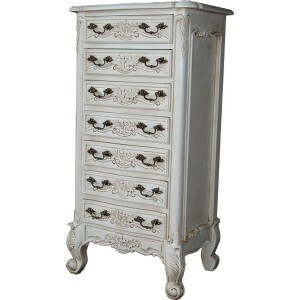 This tallboy takes French influence to create a lovely design, whilst having a practical amount of storage. 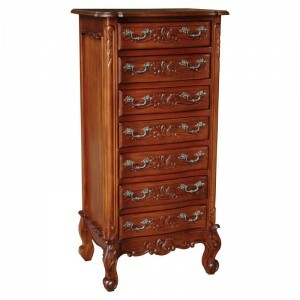 The tallboy does not require a great amount of floor space in the bedroom, allowing it to fit where other chests of drawers simply don't. Manufactured to the highest quality from pine wood and finished in a sophisticated white or a shabby chic light grey.